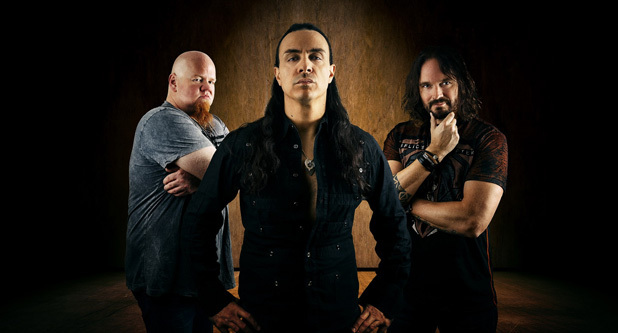 Formed in 2013, power trio Wonderworld features Labyrinth's Roberto Tiranti (vocals and bass) with Ken Ingwersen (guitar) and Tom Fossheim (drums) from Ken Hensley (Uriah Heep) & Live Fire. They return with their third studio album, uniquely titled III. Wonderworld's sound could be best described as melodic hard and heavy rock. The heaviness comes from the combination of strong assertive riffs with a deep and powerful rhythm section. Yet these are quickly wrapped up in melody and harmony derived from the same guitar lines, but also Tiranti's vocal arrangements. Ingwersen fills each song with varied and intense guitar solos as the bass and drums keep the groove going. Sometimes, with songs such as A Mountain Left To Climb and Brand New Man, it sounds like Wonderworld is working a blues groove into the tunes. Alternatively, with Rebellion you get something of psychedelic funk feeling in the rhythm and groove. Yet, at the mid point the song features a calm smooth guitar solo almost akin to Carlos Santana guitar line. With The Last Frontier, something of a ballad, you get a slow moving song with light guitar and voice at the center. But eventually, the vocal layer gives way for the smooth guitar line to continue and then rise to a sharp solo. For something straight forward heavy and steady, with a bit more of that latent blues groove, there's the tough break up song, Stay Away From Me. With the up beat groove of There Must Be More, Wonderworld tunes into a catchy AOR groove, especially heard in the chorus. Throughout the album, after a few spins, I felt a strong under current of Seventies heavy rock brought some 40 years forward. 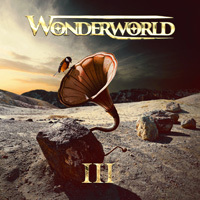 Essentially, if you like your rock, hard and heavy, yet melodic and catchy, and with strong guitar lines, you will enjoy Wonderlands's III.